I am well known for my pulled pork. I make it often and everyone loves it. 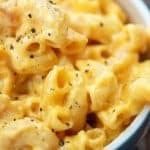 It’s a favorite around here for me because it’s simple and it’s a favorite of my guests because it’s downright delicious. Sometimes I like to get a little crazy and switch from a pork shoulder to a chuck roast and turn that pulled pork into some seriously amazing pulled beef. 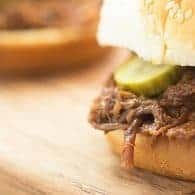 This slow cooker shredded beef is seriously out of this world good and I believe it’s thanks to a special little secret of mine that I’m about to share with you. Mustard. Mustard is the secret. That’s a weird secret to have, but it’s a good one because holy cow this beef is flavorful and perfect and you’re going to probably eat so many sandwiches that you’ll hate yourself afterwards. I make my own barbecue dry rub for this recipe as well as for my pulled pork and I get that this might sound a little intimidating, but if you have a spice cabinet, you’ve totally got this down. Barbecue dry rub is easy. You just dump a bunch of spices into a bowl and stir. Boom. Done. Then the secret comes into play – you rub mustard all over your beef before liberally coating it in the dry rub. I don’t know why that mustard makes so much difference, but don’t skip this step. It’s so good! You’ll pop everything into the slow cooker for 8 hours or so and then get your forks ready to shred. Every now and then I hear from people making my French dip recipe that their beef doesn’t shred and they think they’ve overcooked it. The opposite is actually true. If your meat isn’t shredding, it’s not cooked enough. Cover it back up and turn the slow cooker to high. Try again in 30 minutes or so. Easy peasy. 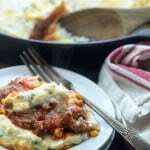 I use and love my Ninja slow cooker in this recipe. Pop the shredded beef into a skillet and sprinkle on a little more dry rub. 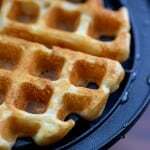 Then you squirt in some of your favorite barbecue sauce, bottled or homemade barbecue sauce is perfect. Cook it over medium heat, stirring often, for a few minutes. The sauce really soaks into the meat and the sugars start to caramelize and all is right in the world. I serve this on sandwich buns with pickles. 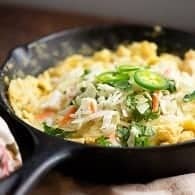 My dill pickle slaw would be great on this too! 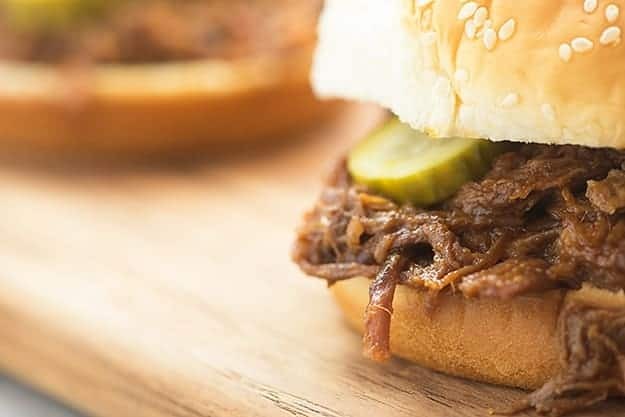 This slow cooker shredded beef is seriously out of this world good and I believe it's thanks to a special little secret of mine that I'm about to share with you. Add the brown sugar, paprika, garlic powder, onion powder, salt, pepper, chipotle powder, and parsley to a small bowl and stir to combine. Remove 1 tablespoon of dry rub and set aside for later. Coat all sides of the chuck roast with the mustard. Liberally coat the roast in the dry rub. You may not need all of the rub. Store any excess in a covered container for another use. Place roast in a slow cooker on low for 8 hours. Shred the meat with two forks and transfer to a large skillet. Sprinkle with reserved tablespoon of dry rub and add barbecue sauce. Cook over medium heat for 5 minutes, stirring often. 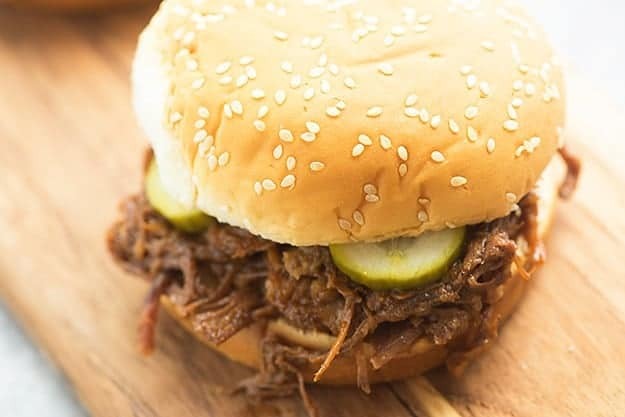 Serve on sandwich buns with pickles, if desired. I agree. If the beef doesn’t shred that’s probably it’s not slow cooked enough. One time I made rendang beef and it wasn’t shredding so I just put it back on for another hour and it was beautiful. On the other note your slow cooked shredded beef looks so perfect and delicious! 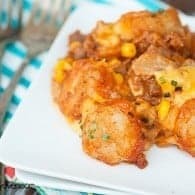 I think since I got my IP I’ve been neglecting the slow cooker, but I can only imagine smelling this in the house all day OMG I need to make this asap! I’m planning to try this in the IP too! Fabulous, my absolute favourite … I’m definitely going to give a try. 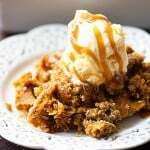 If you don’t have a slow cooker, what temperature would you suggest I bake it in oven, please? This sounds fantastic! Thank you for the recipe. Oh, I bet it’s amazing on ribs! 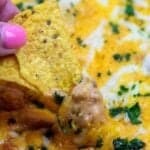 Making this tomorrow! 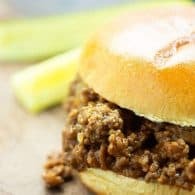 I need to use up some hamburger buns, bought a chuck roast at the store this weekend and this looks absolutely mouth watering delicious! 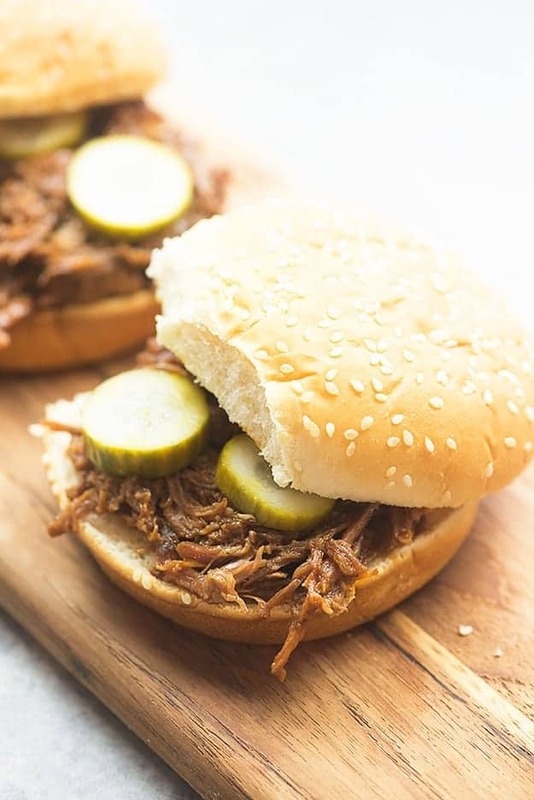 We use the mustard trick for all our smoked meat before applying the dry rub and I never thought to do it for slow cooker shredded beef and pork GENIUS!!!! So you don’t need any liquid added to the slow cooker, just wanted to be sure just mustard rub and through that baby in the slow cooker?! Well I just had breakfast and now I’m drooling again! 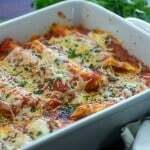 What a terrific recipe and a must try for me. 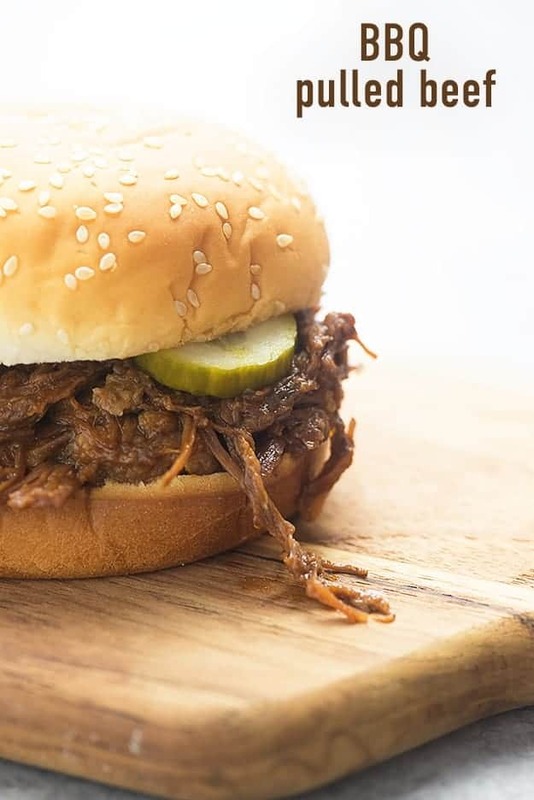 We love BBQ and anything in the slow cooker is perfect for us. Thanks for sharing your perfectly wonderful secret – can’t wait to try it. Not a mustard fan, is the mustard flavor strong? Okay, wonderful! Thank you for quick reply! Can’t wait to try this! The mustard contains vinegar- which is a natural meat tenderizer. Just never thought of using it as a base for rubs. Thank you. Love this with pulled pork. My husband claims to hate mustard but I’ve made it twice now for him and he loves it. I put the pork on a baking sheet and broil for about 1-2 minutes, flip and broil the other side to make it a little crispy. This is our go-to pork recipe now! I bet it’s amazing with pulled pork! I use this same rub for pork, but have never tried it with the mustard – I’ll have to do that! This was absolutely perfect! 6 pounds of bottom round roast (my favorite cut) fed 8 of us with leftovers. This will be a regular meal! I made this with 4 1/3 lbs chuck roast for a tailgate. It was delicious! One of the only things that was completely gone before the game. I wasn’t sure about cooking it in the slow cooker with no liquid, but it was perfect. Great recipe! Hi there! Looking at doubling the amount to feed 30, so i’ll Be using 6 pounds of meat, I have a largeish slowcooker but would it be better to do in two smaller batches so my two pieces of beef aren’t touching? Also I couldn’t find chuck so I’ll be using brisket, will that give a similar result? Hi there! I’ve never put brisket in a slow cooker before, but I think you’ll get similar results. Be sure to put the fat side up. And yes, you’re probably better off using two slow cookers. I had never done pulled beef before but wanted to try something different. I used a top round roast. I didn’t have Chipotle powder so I combined Chipotle hot sauce with the mustard. It turned out AMAZING. 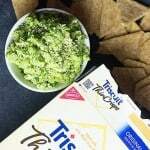 I picked this recipe out of 5 others I was considering and will be making this again! 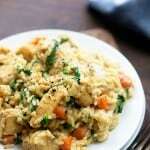 I have tried this recipe several times, and it is delicious! Some in my family don’t like chipolte, so I leave out the chipolte pepper. Even without that it is so yummy! 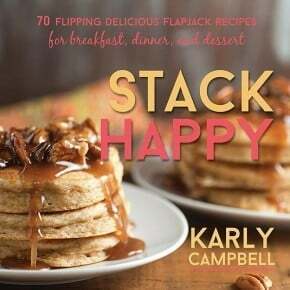 Plenty of food for everyone with this recipe!